A trip to Spinalonga is definitely worth doing. Spinalonga is officially known as Kalydon and is a tiny island off the coast of Crete. It is just 0.085km2. The island was originally part of Crete itself, however during the Venetian occupation the area was carved out to create a small island fortress to defend the salt-pans in Elounda Bay, Crete. Venetians were selling salt in the Mediterranean, that’s why the salt-pans at Olous (Elounda) should be protected. In those days of course, piracy made commerce unsafe and it was apparent in the 16th century that the Ottoman Turks were turning their gaze ever westwards. This, in combination with the emergent Turkish threat, particularly after the Fall of Constantinople in 1453 and after the loss of the Venetian salt-pans on Cyprus by the Ottomans, forced the Venetians to fortify better the island. The new fortress of Spinalonga was built in 1579. In 1630 it had 35 cannon, essentially meaning that it had been turned into an island fortress with great firepower. This explains why it was never conquered by an enemy. Venice managed to hang onto Spinalonga even after the fall of Heraklion to the Turks in 1669, keeping it in its possession, along with Gramvoussa and Souda, until 1715, in the hope of retaking Crete. Spinalonga was finally ceded to the Ottoman Turks in 1715 until 1903, when the island followed a slightly sadder route when it became a leper colony. Spinalonga was a leper colony till 1957. In 1952 Spinalonga was renamed “Kalydon”, which had been the island’s name throughout antiquity. 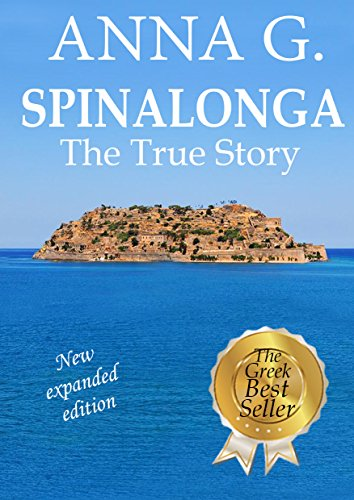 During the first three decades of the century, according to reports, approximately 1,000 patients were confined on the islet of Spinalonga. On the islet of Spinalonga, in contrast with other similar Greek institutions, the patients had three basic advantages. The patients had an allowance granted by the State and they could buy whatever they considered necessary. The patients had to obtain food and other basics from somewhere in order to survive. The boom in trade also affected the appearance of the shore fronting the small harbor of Plaka on the Cretan mainland. Spinalonga was a leper colony till 1957. After the leper colony closed in 1957, the Greek Government explored the possibility of using the islet for other purposes, such as a public psychiatric hospital, but these discussions were soon dropped. Now-days, dozens of boats from the nearby villages ferry visitors to the small islet. Today, the Gulf of Mirabello, Elounda, Plaka and Agios Nikolaos together welcome thousands of visitors each year from all over the world. Nowadays, this beautiful and historic monument, its pending inclusion in the UNESCO catalogue of International Heritage. 6. How To Create A Plot Outline? 8. Dependable Content Creation Companies You Can Rely On!